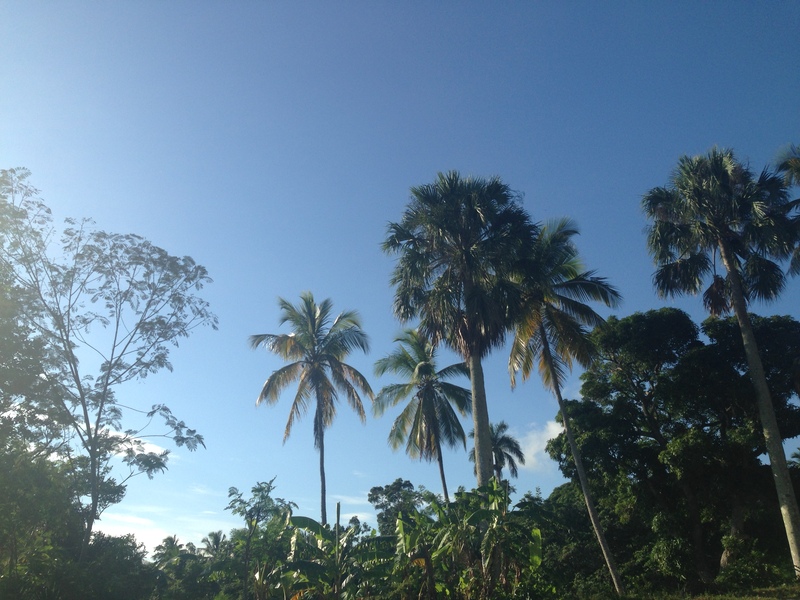 These palms are in the North-West, not the Central Plateau. This entry was posted in Uncategorized and tagged history, plants, politics, resilience, state on October 6, 2015 by sofmoore. When I arrived on Haiti’s Central Plateau on the 1st of August, maize fields were already full of sharp spears as high as my shoulders, and a friend came to visit with his backpack full of celadon-green ears of mayi. After the end of the rain-soaked month of August, crisp brown leaves rustle in the fields, and sharp spears dry brown on the stalk or hung in bunches from trees and rafters. 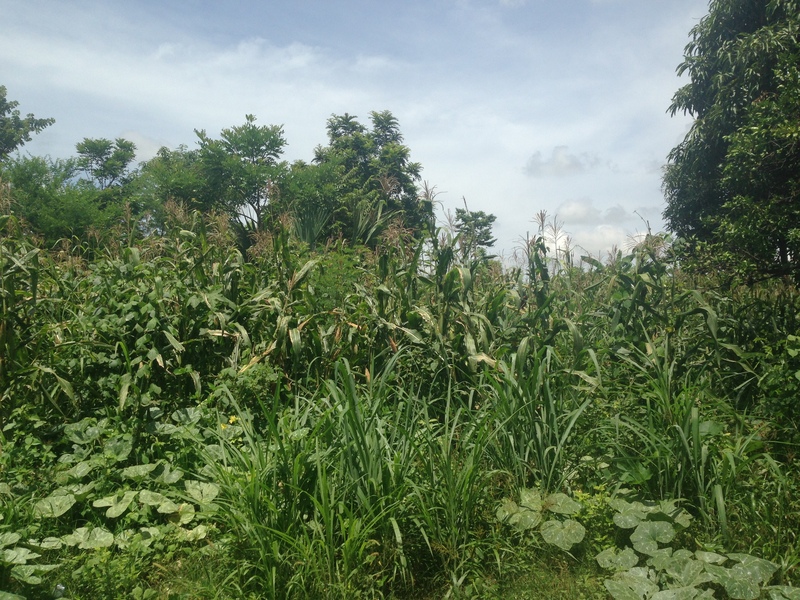 Now, near the end of the rainy season, feathery pwa kongo (pigeon pea) plants are waving tall as the maize stalks wither. A few weeks ago, when you could count on rain by sundown, children gnawed on ears of sweet boiled corn; now the ears are grilled until the kernels are sweet and chewy – mayi boukane. The hard kernels will feed chickens, pigs, and people alike throughout the year, grilled or ground into mayi moulen, a coarse cornmeal served with bean sauce and, sometimes, spinach – my favorite Haitian dish. Although Haitians do not share a territorial and cultural unity as “maize people” with indigenous Latin Americans, they are nonetheless a people in part because of maize. 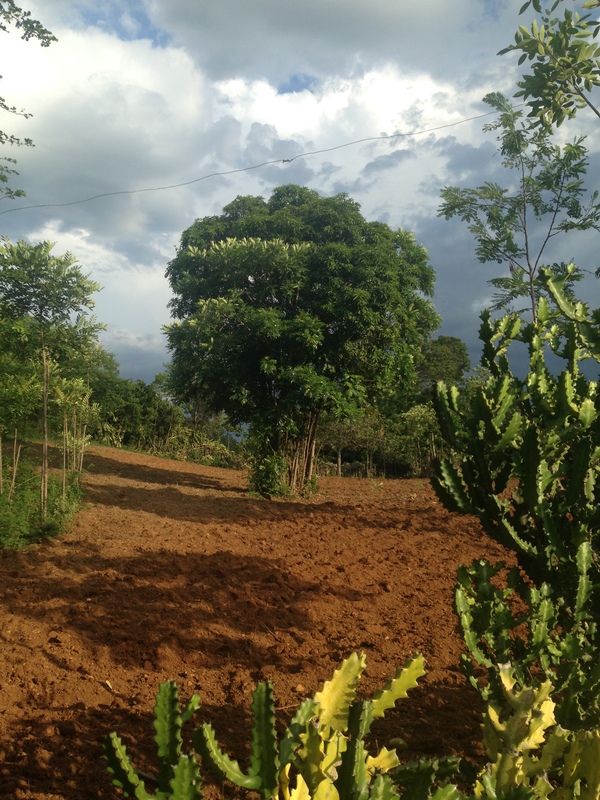 Ecological relations linking revolutionary maize to “Miami rice” are profoundly significant to rural Haiti’s tradition of self-reliance, and these relations begin in the 15th century. This entry was posted in Uncategorized and tagged development, Latin America, neoliberal, plants, politics on September 6, 2015 by sofmoore. Legislative elections – 5 years overdue – were held in Haiti last Sunday, the 10th of August. Heated debates continue as citizens wait for the results of the vote. More than 1,000 candidates were running for deputy, the lower house of Haiti’s Parliament, and nearly 200 for senate. After the dissolution of Parliament earlier this year, a provisional electoral council (CEP) was convened to oversee the elections. As reports of “irregularities” in the voting process, as well some incidents of violence and intimidation circulate, I am thinking about what rache manyok might offer to Haitians, and in particular the rural poor, who have been pushed to the political margins for so long. This entry was posted in Uncategorized and tagged plants, politics, resilience, roots on August 11, 2015 by sofmoore. © Sophie Sapp Moore and Political Ecology is Not a Metaphor, 2018. Unauthorized use and/or duplication of this material without express and written permission from this site’s author and/or owner is strictly prohibited. Excerpts and links may be used, provided that full and clear credit is given to Sophie Sapp Moore and Political Ecology is Not a Metaphor with appropriate and specific direction to the original content. A symposium promoting critical dialogue on black radicalism across the African Diaspora held at the University of California-Davis on February 17, 2017.